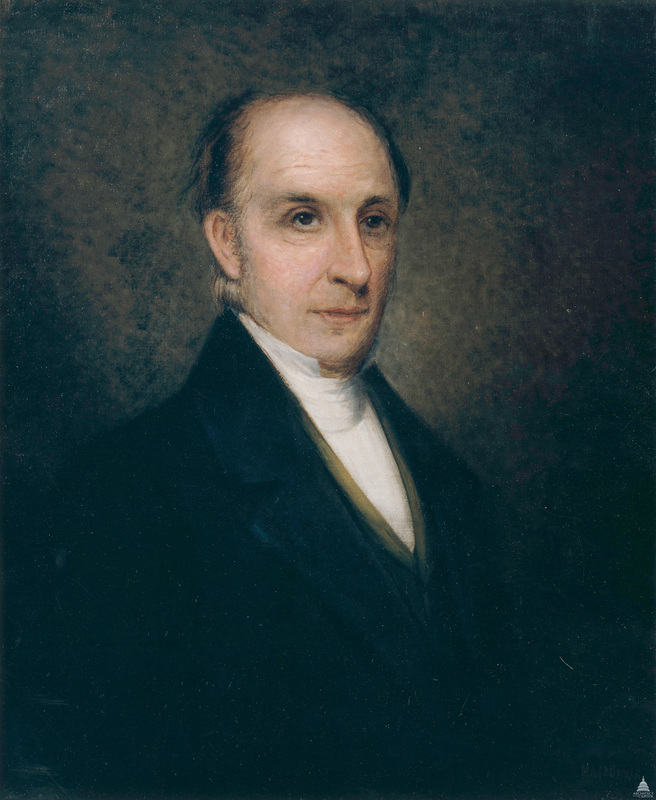 Charles Bulfinch was hired by the commissioner of public buildings in 1818 to replace Benjamin Henry Latrobe. He continued the restoration of the two wings, which were reopened in 1819. Bulfinch designed the domed center building of the U.S. Capitol and oversaw its construction between 1818 and 1826. He also planned the U.S. Capitol Grounds and the original west terraces. After the U.S. Capitol Building was finished, President Andrew Jackson terminated the architect's position on June 30, 1829. Bulfinch was among the first American-born architects of distinction. Born in Boston in 1763, he graduated from Harvard and studied European buildings using an itinerary drawn up by Thomas Jefferson. He became famous in New England for elegant private residences, churches and public buildings. His most famous commission was the Massachusetts Statehouse of 1795–1798. Following his Washington career Bulfinch retired to Boston, where he died in 1844. From 1816 to 1867 supervision and maintenance of the U.S. Capitol were directed by the Commissioner of Public Buildings. Minor architectural services were regularly provided by Robert Mills and other Washington architects between 1829 and 1851, when there was no U.S. Capitol architect.